If the Nexus 7 is just too cheap for you, then might we suggest Qualcomm’s Snapdragon S4 Pro developer slate? Before we get into the technicals, we should state this device is not for the everyday tablet buyer. Sure, it can run your Angry Birds better than anything on the planet, but devices of this caliber should be purchased only by developers and programmers alike. So, what exactly are you getting for $1299.99? Under the hood is the new Snapdragon S4 Pro APQ8064 processor with asynchronous Quad CPU cores, running up to 1.5GHz each. Graphics are handled by the beefy Adreno 320 GPU, 2GB of LPDDR2 RAM and of course, 32GB of storage for all of your goodies. 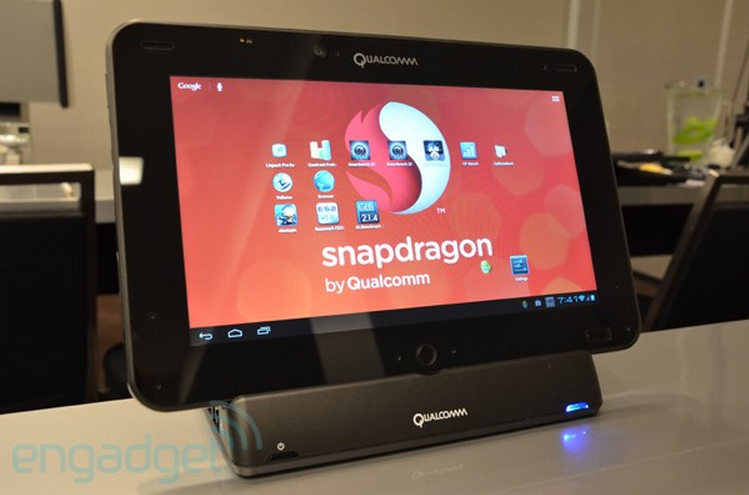 The tablet features a high resolution 10.1 WXGA display, is equipped with a 13MP back-facing camera, houses 7 mic’s for “Ultrasound,” and runs Android 4.0 Ice Cream Sandwich. Damn. Demand is high, so orders won’t be shipping out for another 2-3 weeks, but if you need to program that next hit app on it, then here’s the buy link for you.